We were recently featured in the Aberdeen American News as the business of the week. Take a look! For more than 100 years we've been the most reliable choice for selling, installing, maintaining and repairing your commercial HVAC and refrigeration equipment and residential heating , air conditioning, humidifying and air cleaners. We use the most trusted products on the market today which are 100% guaranteed, in and around the Aberdeen area. We reach out to Groton, Ipswich, Selby, Webster, Roslyn, Redfield, Mobridge, Faulkton, Eureka, Doland and Clark areas. Plus, we're here for you to service not only what we sell, but most other brands, too. We stock parts for Carrier, Payne and Bryant and will cross reference parts for many other brands. If we don't have the part on hand, we can usually order it overnight for speedy repairs and replacements. Every service technician on our staff is a trained and trusted professional with years of experience and certification to industry standards. We are bonded and insured. We hold ourselves to a higher standard, working harder & smarter to do the job right, get it done when we say we will and give you value for your hard earned money. We set a time, get the job done with the least amount of mess possible and discuss our findings and repairs with you afterwards. 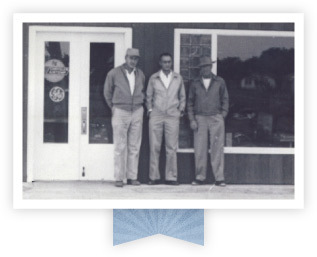 We're proud of our reputation of treating our valued customers in a way that keeps them coming back, and that's the way we've been doing business for the over 100 years. We plan on continuing that treatment for 100 more years! 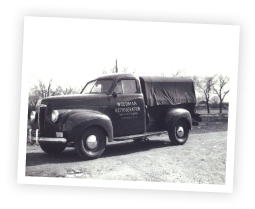 When you need expert service with that old fashioned touch, you'll find it at Woodman Refrigeration. A live person (Larissa) answers the telephone every time and gives you that personal service you expect from a company like ours. © 2019 Woodman Refrigeration. All rights reserved.